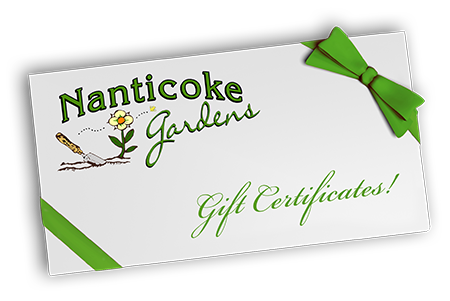 A Gift Certificate to Nanticoke Gardens makes the perfect gift for Christmas, Birthdays, Valentine’s Day, and Mother’s or Father’s Day. Now you can purchase them quickly and easily on-line and, if you’d like, have them sent directly to your recipient. Gift Certificates can also be purchased in person.